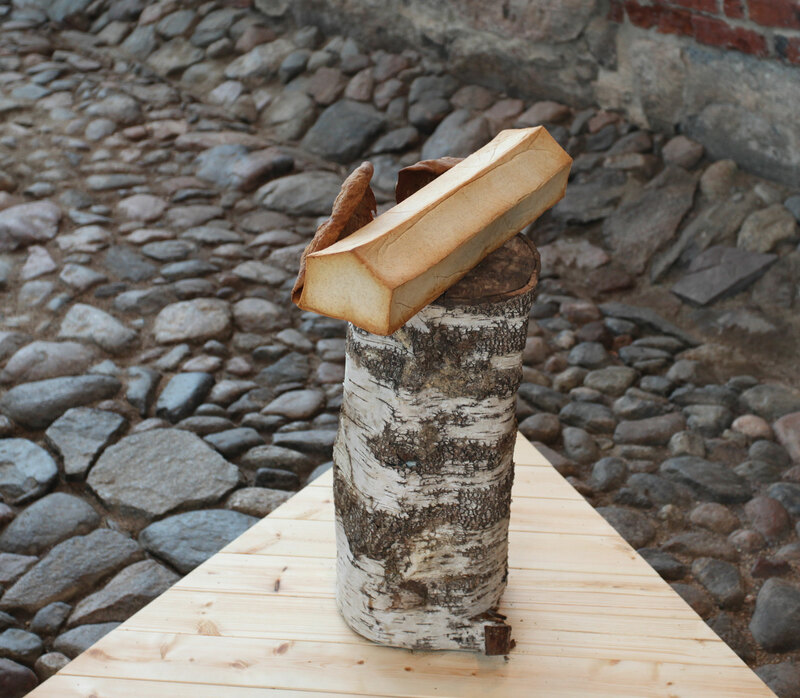 For the exhibition ”Here and Now” (1.2–28.4.2013) at the Ars Nova Art Museum in Turku, dealing with the history of performance in Finland, Edible Finns were asked to do a performance. 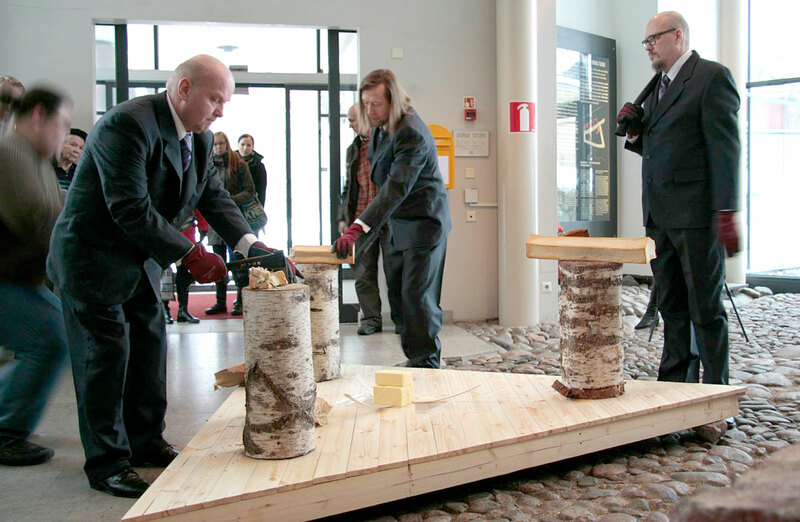 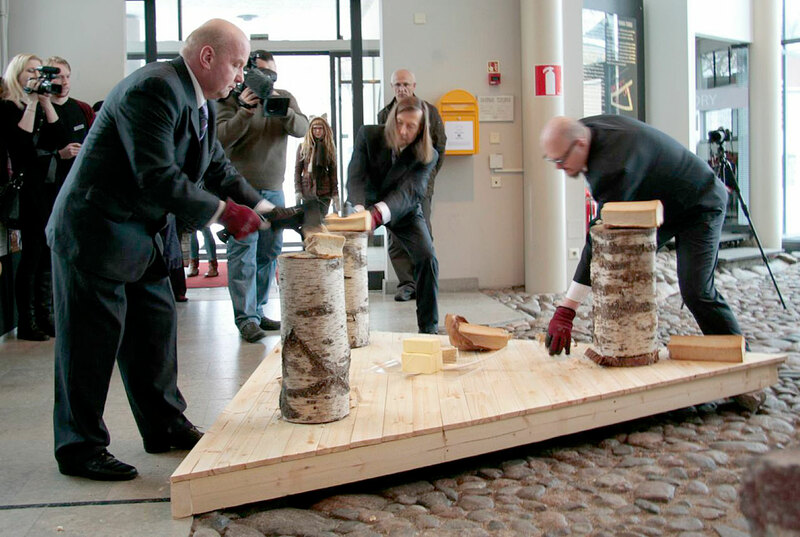 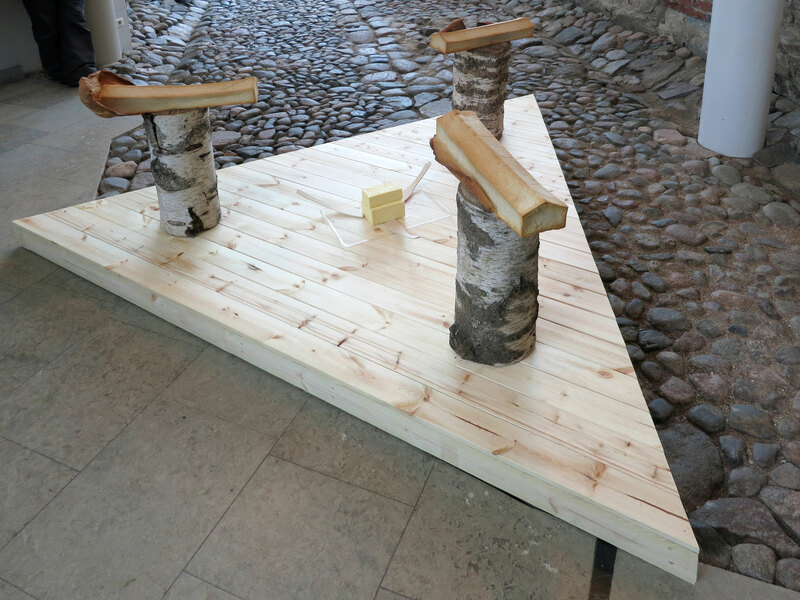 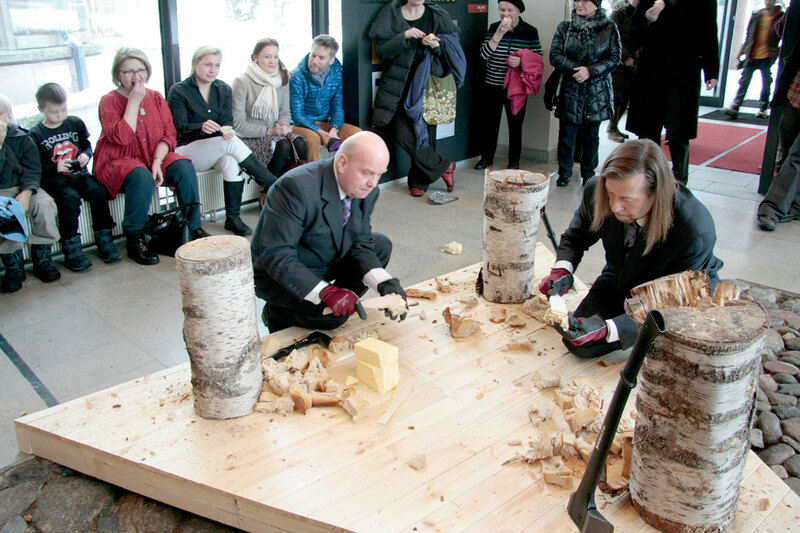 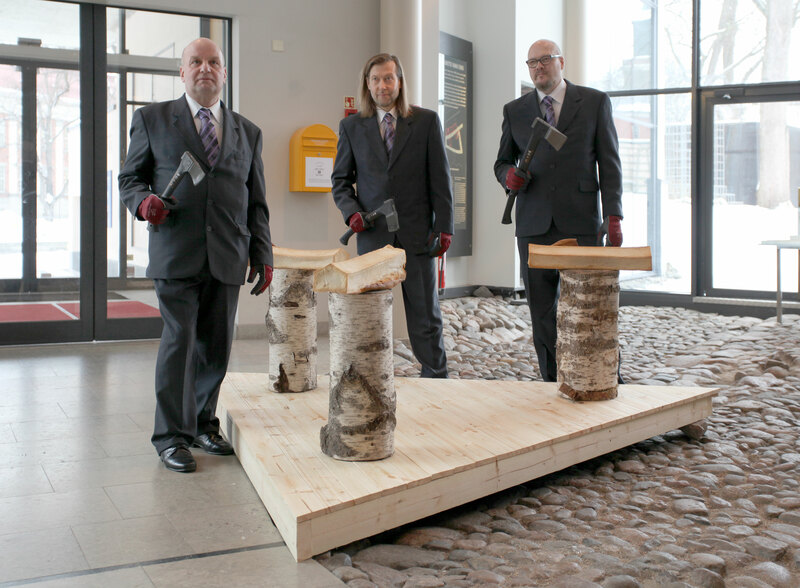 Turku is notorious for the destruction of old ornate wooden buildings, so the group chose to loosely comment on this by chopping houses made of bread, in the traditional Finnish way of chopping wood with axes. 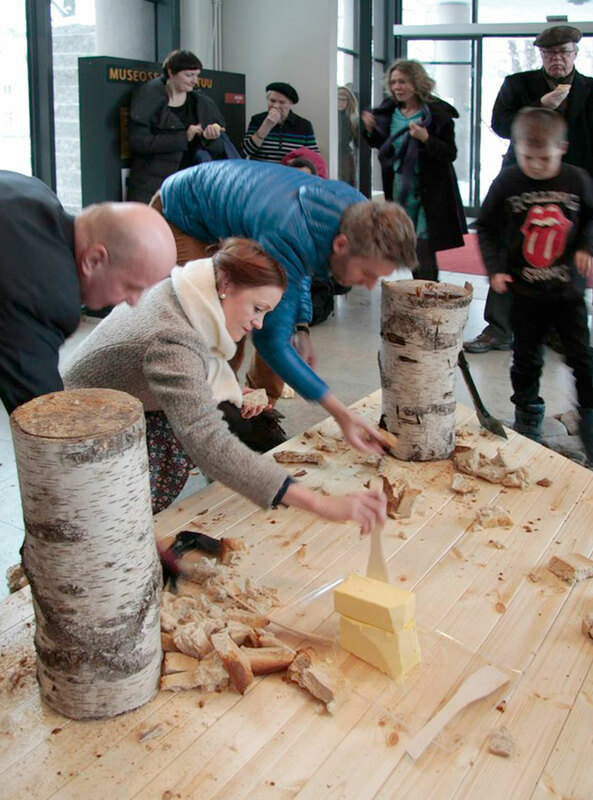 The pieces were served to the public with a slice of butter.